The good news is it is possible to overcome anxiety and a lot can be done to bring control back into your life. What it does take is commitment, courage and being prepared to be vulnerable. I don’t mean in great leaps and bounds it’s steady and slow that overcomes anxiety – especially if its been an accomplice for a long time. Anxiety sufferers are their worst critics and I give you all permission (you know who you are) to ease off on yourselves and show some inner kindness. This is the part people usually find the toughest and where I meet most resistance. The reason I give you this insight is that the part of the brain involved in anxiety does not know the difference between an internal or external threat – now that’s a revelation. In effect, you are attacking yourself and re-enforcing the fight flight response. It loves and clings to the negative! Rick Hanson PhD a World leader in Neuropsychology says that negative experiences stick to us like velcro and the positive slips off like oil on Teflon. Anxiety is a normal healthy reaction and it happens to every human. Lets not forget that it’s part of natures first aid kit for survival. None of us would be around for any length of time without some built in survival mechanism. It arises at times when a part of our brain believes we are in danger from attack or in worrying situations (this includes negative self talk). It is generated from a lessor evolved part of the human brain which is like a 75,000 year old computer processor that can’t be updated. When you’re anxious your body’s systems accelerate to activate the fight and flight or freeze response. It wants you to either get into a fight, run or act dead and most of the time in modern day living this is unhelpful. Of course, in certain circumstances this is a necessity. Moderate amounts of anxiety can in fact benefit you and improve your performance and lead to greater success. Anxiety always begins with triggers (which commonly are outside a person’s awareness). These are the events, stimuli or people that your brain “senses” are an impending threat. Anxiety can start in childhood for many reasons – essentially if your emotional and physical needs were not met. Another dynamic is that it was possible that you had anxious individuals around in your early years and it was a pattern you learnt before you were aware. There is a book called “How to Master anxiety” written by Joe Griffin and Ivan Tyrell which is a great read and explains anxiety and gives handy self-help tips. Panic is like a heightened and more intense form of anxiety and very debilitating for anyone who has experienced the symptoms. It can feel like impending doom and/or like you are about to have a heart attack. As a former Accident and Emergency nurse I observed on every shift patients frequently attending hospital with such symptoms. Anxiety and panic are more widespread than is reported in the media. Bodily sensations, feelings and emotions. The symptoms include: irregular breathing and tightening of the airways and chest; sweaty palms racing heart; racing thoughts; impaired thinking and memory; light headed and disassociated, dizziness (loss of balance) trembling; churning stomach and sometimes vomiting and diarrhoea. It’s always recommended that you get checked over by your GP to rule out any other medical condition. Many of my clients report to me that there anxiety is worse in the mornings – just as they awaken at that time when they just open their eyes and they feel that heart fluttering and sense of dread. Some people look perfectly normal and appear so to the outside World yet inside they feel alot of the time they are panicky and nervous. This includes your self-talk, ideas, beliefs, mental commentary and criticism of yourself or your mental imagery and about what might happen to you in the situation in the fear. The future projections all hold the cycle in place. This means the way you behave when faced with the situations you are fearful of. Very common are avoidance strategies. This means either not going into the situation or getting out/ escaping as quickly as is humanly possible. Over time it usually takes more of a hold and more situations need to be avoided. 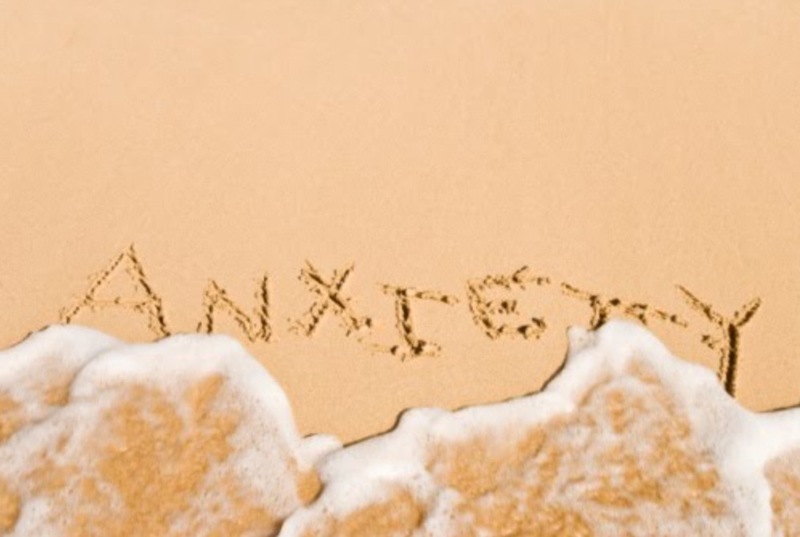 Anxiety can give rise to many adapted behaviours and compulsions for example rituals OCD, over-eating and excessive use of drugs and alcohol as a form of escape. -Mind management strategies – including how you perceive the symptoms. -Powerful breathing techniques to help relax your nervous system and activate different areas of the brain. -Personal de-escalation techniques and confronting your fears. -Changing your relationship with anxiety and how you perceive yourself. -Relaxation techniques – including muscle relaxation. -Ways of dealing with your thoughts and challenging the negative. -Mindfulness. There are some great self help books wth free resources a good read “Mindfulness A practical Guide to Finding peace in a frantic World” by Mark Williams and Danny Penman. -Healthy lifestyle (especially around intakes of fat acohol, sugar, salts and stimulants). -Exercise – appropriate to you. -Be practical and adaptable- and set yourself realistic goals. Re-connect with your inner will – remind yourself of some of your achievements and write them down to use when you are struggling (if you can’t think of them ask a trusted friend). -Aim low – Start small and aim to make consistent progress. -Be prepared for knock backs. Also prepare for problems as these can happen. -Reward yourself for your successes – including the small things. You will find yourself impatient and disheartened when your progress isn’t quick enough; you cant see the difference or you’re having a bad day. This is entirely normal! Look at the bigger picture. -Gratitude diary – Focus on the positive – this activates areas of the brain which help with emotional regulation. -Prepare mantras, affirmations or coping statements. They need to be send with intent and meaning – they challenge your thoughts and guide your behaviour at the same time. -Look at your work life balance, your sense of meaning and purpose and see if you can re-dress the balance of your physical and emotional needs. Debs this is soooo good. I wish I had been able to read it years ago but I’m still going to print it off and keep it and also hand it to some ‘people’, you know who they are!!! I wish there were more understanding people around, it would make us many sufferers lives a lot easier!